These are books I have read and reviewed on infertility (in no particular order). I hope they can be a good resource for anyone looking for more in depth information on this subject. Happy reading! Description: Personal account in which the author experiences her own miscarriage. Short, easy to read chapters that walk the reader through the author’s journey starting from the ultrasound that shows a pregnancy that stopped developing in the first trimester through the day she returns to work and the ‘real world.’ The author reveals that this is not her first miscarriage and shares her feelings of isolation, jealousy of pregnant women, sadness, and ultimately hope in moving forward. 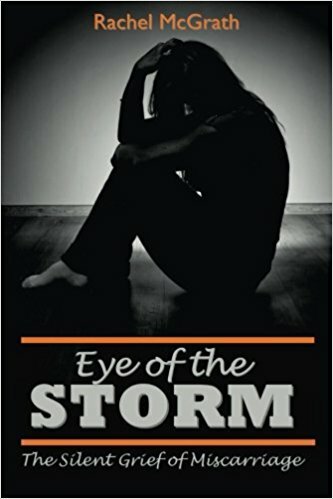 Dr. Shahine says: This is a wonderful book for anyone who wants to learn more about the emotional roller coaster of having a miscarriage. Women and their partners will likely identify with the author’s journey and find comfort in knowing that other people have felt the same way. Friends, family, and medical providers who are supporting people through miscarriages will learn a great deal. Highly recommend. Description: This is a memoir of the author’s journey through multiple miscarriages. She describes her decisions to delay starting a family and the harsh reality of how difficult it can be for some. Rachel McGrath shares not only her story but her reflections on the experiences in a way that is brave, honest, and heart-warming. Dr. Shahine says: I cringed with Rachel’s descriptions of un-empathetic medical providers, well-meaning but clueless friends, and all aspects of miscarriage. She does not hold anything back from both the physical and emotional roller coaster ride of struggling to start a family. Many people will appreciate this book: those having miscarriages who need to know they are not alone and those people close to them who want to learn more about what their friend, partner, and patient is going through. 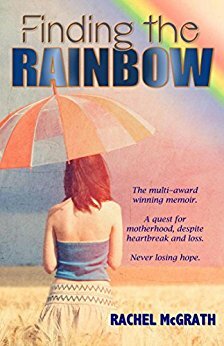 Description: This is a continuation of Rachel’s remarkable first memoir, Finding the Rainbow, in which she walked us through her first 4 pregnancies (all miscarriages). In this incredible second half of her journey, we experience with Rachel the treatments, disappointments, but ultimately the birth of her rainbow baby, Isaac. This is honestly a page turner even though we know from the start her journey ends in a baby. It reads like a suspense novel with heart-wrenching ups and downs but she continues to remain realistic, resilient, and forever hopeful on her path. Anyone who has had a miscarriage, struggled to conceived, had friends, family members, or patients with these struggles should read this book. Dr. Shahine says: I loved this book. I learned from Rachel’s perspective what it’s like from a patient’s perspective on this journey. I wish every provider who cares for women will read this and gain empathy for what it’s like to struggle to have a baby for 4 years, put life on hold, lose yourself temporarily to the ‘treadmill’ of treatments, re-evaluate choices, feel broken, but remain persistent. Rachel is a brave warrior and I commend her for her willingness to share her innermost thoughts and feelings because many people will relate and learn from her journey! Description: The author describes beliefs, rituals and remedies for infertility and miscarriage from many different cultures throughout the ages. She searched legends, folklore, women’s advice books, ladies’ magazines, and early writings of medical authorities and anthropologists and catalogues the information she found. She states in the forward that this work is intended to be both entertaining and comforting to people who know how it feels to be infertile or to lose a child during pregnancy. Dr. Shahine says: This is an interesting collection of rituals and remedies for infertility and miscarriage. Not surprisingly, most societies blame the women for their inability to be a mother, however there are some societies that recognize miscarriage is a natural process and do not isolate and blame the people who are suffering loss. The list of remedies from animal sacrifice to herbal supplements are fun and a little disturbing to learn about. This is an interesting work but it is more of a catalogue of remedies and rituals and lacks reflection on what these mean for the societies in which they were used. This book is important and unique but written for anthropologists, not patients who are struggling to complete their family.